Vegan activists have spoken out to blast the cruelty and greed of animal farmers who left more than 3 million farm animals to drown as Hurricane Florence causes floods across the Carolinas. 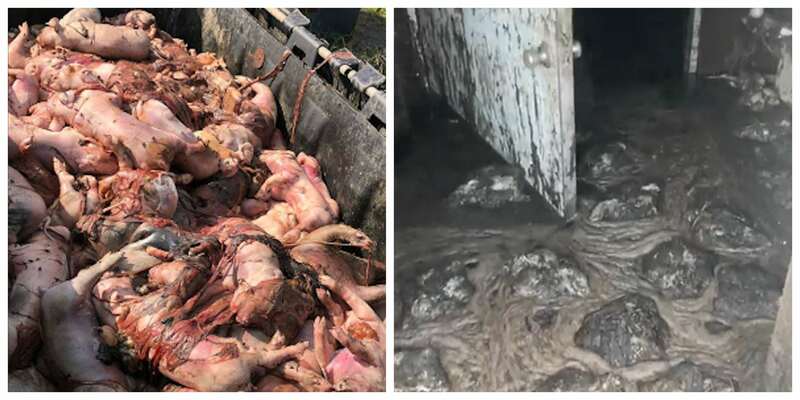 Official statistics released by the North Carolina Department of Agriculture and Consumer Services on September 18 says the death toll has reached 5,500 pigs, and 3.4 million chickens and turkeys - and is expected to rise. The animals drowned as a result of being locked in factory farms as the farmers themselves fled to safety and saved themselves. Now vegan activists have spoken out about the suffering experienced by these animals, blaming corporate greed and lack of caring. "These animals are sensitive, intelligent individuals, yet corporations intentionally neglect them to brutal deaths for the sake of the bottom line," said activist Arwen Carlin, with global animal rights network DxE. "Unlike companion animals, who by law must be included in government evacuation plans during natural disasters, farmed animals are afforded no legal protections," Mercy for Animals' Julie Cappiello penned in an open letter. "So while farmers fled for safety, animals drowned in cages and crates with absolutely no chance of survival. "Drowning is one of the worst things one can experience. Submerged underwater, fully conscious, you panic, unable to call for help... Its easily one of the most terrifying ways to die. And this is what you did to them. "We've seen such panic time and time again when animals are being slaughtered. Most likely, they would have bitten the bars of their crates, hoping to break free. But many were unable to escape. Imagine if you were in their place. "You let them die because they were nothing more than property to you, and the insurance money was probably worth more than the hassle of moving thousands of pigs to safer areas." 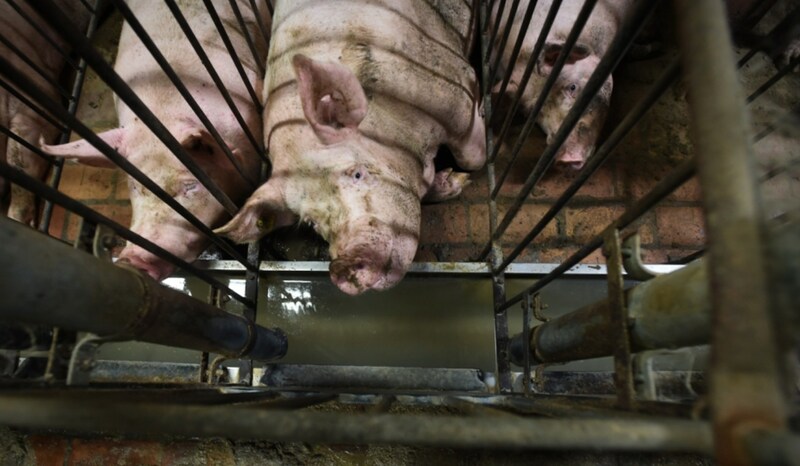 Writing for PETA, Zachary Toliver said these animals were 'denied even the slightest chance at survival', adding: "Imagine how terrified you would be if you were abandoned and trapped in a flooding shed with no possible escape. "Not a single one of these thinking, conscious living beings chose to die. No doubt, until their last minutes, they did everything possible to keep their heads above water in a relentless struggle to preserve their own lives. They probably cried out in panic for relief that would never come. "At a minimum, these animals deserved a fighting chance at survival. But because meat producers see animals as something, not someone—as items to claim on insurance policies, rather than as individuals who value their own lives - they didn't care enough to evacuate them or even give them a chance to live by releasing them before the storm hit."